Our product range includes a wide range of marble bird baths and bird baths. Being a prominent firm of experienced professionals and using latest technology, we are affianced in offering Marble Bird Baths. The given bird bath is intricately crafted by our innovative craftsmen by making use of best quality marble stone & it’s shaping tools in compliance with the market trends. 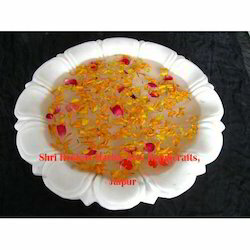 Offered bird bath can be customized as per the specific needs of customers in a given time frame. Customers can easily avail this bird bath from us at affordable rates. Marble Carving is an art & a professional can only create a spell bounding art. 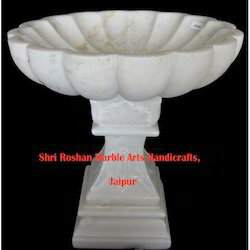 We offer a wide range of marble articles among which these Bird Baths are one. Beautiful designs & a tough material gives these Marble Bird Baths a good life. Suitable to keep in Gardens or Houses, these bird baths are real bird friends. Looking for Bird Baths ?